I Am Bruce Lee is a documentary that follows the life–and death–of Bruce Lee, cinema’s greatest martial arts star, and one of the greatest martial artists who ever lived. There have been other documentaries done over the years about Bruce, so how does this one stack up? I’ll say it’s probably the best one yet, with one slight problem I’ll touch on shortly. 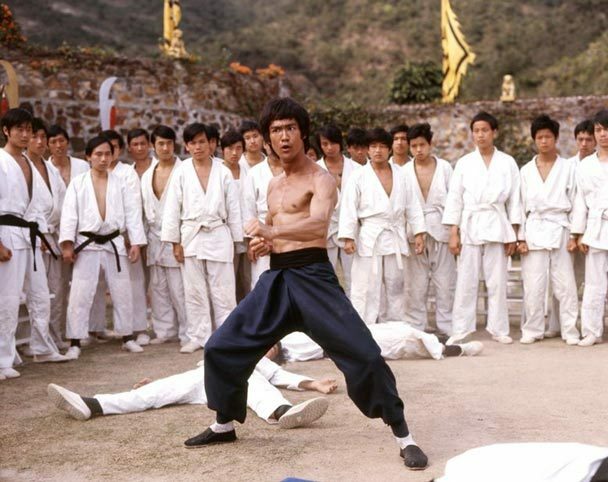 The film really starts with slam bang intro that mixes scenes from Bruce’s films along with sound bytes from some of the stars being interviewed, and it will really get one salivating to see Bruce Lee’s films brought back to the big screen (you listening, whomever holds those rights? If Blade Runner and Star Wars can get rereleased in theaters, why not Bruce?). 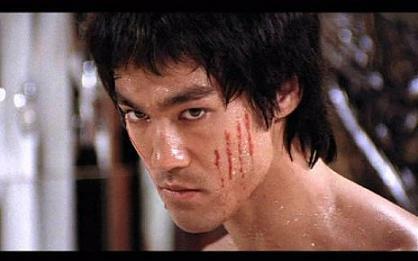 Then we go into Bruce’s life, and the film does a great job of going step by step through Bruce’s tumultuous time in China to his difficulties in America to when he met Linda and things started falling into place, but not without hard work and sacrifice. The film then traces the TV shows he was a part of, some of which I had never heard of and wall thrilled to see scenes of, to his departure to China and his surprise at how popular the Green Hornet (or the Kato Show, as it was called there.) was, to his involvement–and problems–with Lo Wei (Jackie Chan would have his own set of problems with Lo Wei years later), to the success of The Big Boss, his other films in China, his matchup with Chuck Norris (I wonder why he wasn’t interviewed for this?) and his eventual death, which becomes the most affecting moments in the film as we see, maybe for the first time, what it meant to not just the fans, but to the people who were closest to Bruce. Pete McCormack does a great job conducting the interviews and getting the maximum affect interspersing them among footage of Bruce Lee’s screen test, and his only real interview on the Pierre Berton Show, along with video footage in Bruce’s backyard to just pictures from his life before stardom hit. The scenes from all of Bruce’s films are done just right, and are fantastic to see and make perfect sense regarding the discussion or comment at that moment. The interviewees are people who are really Bruce Lee fans, and most are martial artists themselves, and they do a great job. The only part of the film that rubbed me the wrong way came at about the midpoint of the film. A semi-debate started about whether Bruce was the Father of MMA or not. One side, notably those close to Bruce, are iffy and don’t seem to be comfortable even talking about it, but aren’t really convinced that he is. Dana White and the UFC group profess that he is, Gene LeBell definitely believes in fact that HE is the father of MMA rather than Bruce, and a lot of UFC fight footage is shown. This is a jarring moment that really pulled me out of the film, wondering why this was there. I then remembered that Spike TV helped produce this, and they promote many UFC events, so that explains that, but that is a discussion/debate that needed to be elsewhere, not in a documentary about Bruce Lee, regardless of how popular the MMA style is to today’s fight fans. Maybe MMA fans like it, but I found myself checking my watch at that point. When the film returns to Bruce’s life, it felt like coming back from a commercial break. For those who are well-versed in Bruce Lee’s life there isn’t anything here that may be new to them, but to those who don’t know as much will find it a rich and exhilarating film. There were things I didn’t know, like the fact that Bruce and James Coburn had tried to location scout for The Silent Flute, eventually to be made by David Carradine, but the film was dropped because no locations could be found, and it was great to see the photos of Coburn and Bruce scouting the locales. I also didn’t know that Bruce had become a big child star in Hong Kong before he was forced to leave to America because of his problems after beating up the son of a police chief. 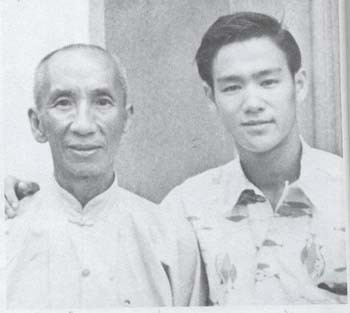 I was aware he had made films as a child, but I didn’t know that he was a very famous child star, so there was an extra treat when the Kato Show came out and people could see the grown up Bruce Lee. I was also unaware of just how much the Manson murder spree affected him. 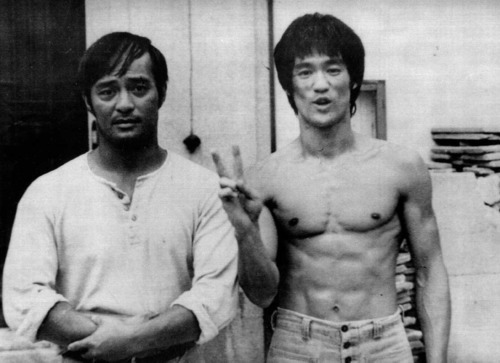 My personal, most affected moment of the film was after Bruce Lee’s death, and when Dan Inosanto and Richard Bustillo starting talking about it, you could really feel the shock and pain as they recount when they had heard about it and their feelings that day and both men looked as if they went right back to that moment and the hard days afterward. You may as well have tossed them both into a time machine and dated it July 20th, 1973. That is the moment that was driven home to me that while we think of Bruce Lee the martial arts savant, his family and friends were utterly crushed as they lost a husband, father, friend, and master. Final Grade: (9) Overall, I am Bruce Lee delivers on its title. It is hard-hitting, philosophical, excellent even in its imperfections, emotional in its punches and always dancing around, and is fantastic fun to watch on the big screen, just as the man himself. Would like to see this. Still miss Bruce Lee. Such a tragedy and loss.